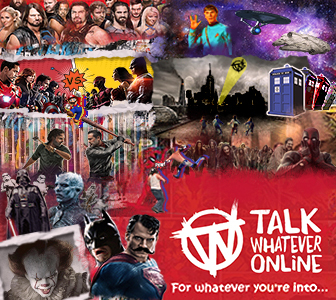 After my initial post about this in December, I'm pleased to say that Talk Whatever Online is just about ready for our official launch. - Add in your favourite movies/tv shows (mandatory fields on registration now) plus you can also add in your favourite video games and wrestlers plus who/what you support. Your account permissions will have changed, click here to find out more. The Trophies system rewards members with virtual trophies and points for meeting certain criteria. It is also linked to the user title ladder, replacing the more traditional post count method. The user title ladder is related to the number of trophy points accumulated; the more points you earn, the higher up the ladder you move, gaining the relevant user title as each threshold is passed. If a custom user title is in effect (Subscribers) then it overrides the trophy user title ladder. You'll notice an Alerts link near the top right, this will alert you each time any of your alert preferences are actioned. All members have the ability to send an alert to a member by tagging them in discussions. If you want to alert them all you need to do is write @ followed by their username anywhere in the post, so @username will notify username of the post they were tagged in. TWO no longer has the forum app but both Talk Whatever Online and Cult of Whatever are fully responsive. Click here to find out how to bookmark them on your mobile/tablet.